Road Closed for Open Streets! 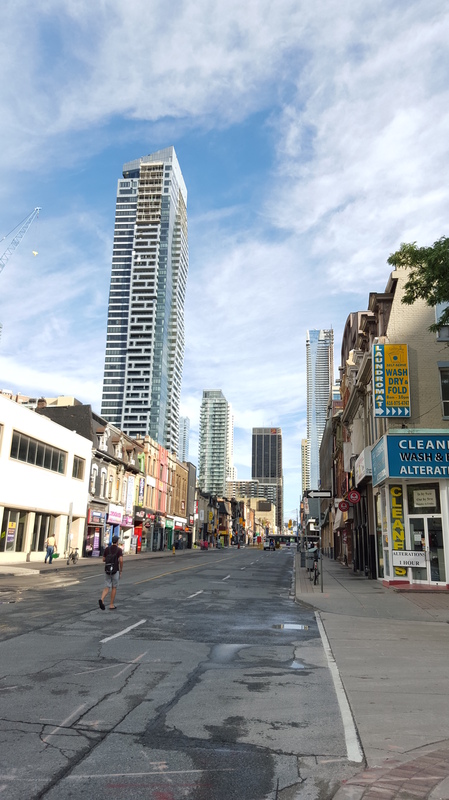 Yonge Street, looking north from Shuter Street. 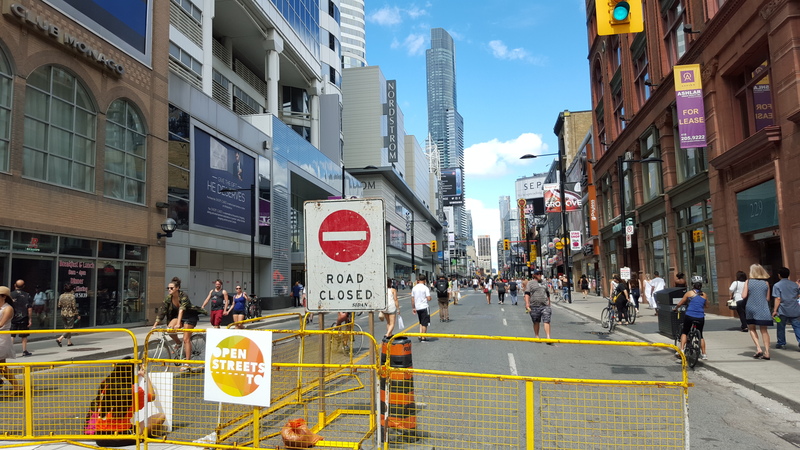 Well, it was raining on the Saturday night that had just past, and I was concerned that on Sunday it would be a bit too wet to bike out to Bloor Street and Yonge Street where Open Streets Toronto was being held. To my delight, the moisture dried up and it turned out to be a beautiful day! It was a great change from the heat waves that ravaged the city for the past few weeks. A photo of the quiet Yonge Street taken at around 9:00 AM, looking north from Maitland Street. 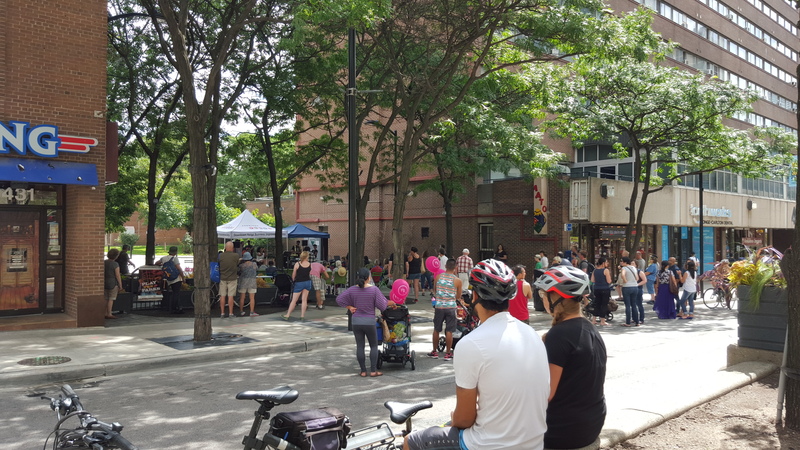 What is Open Streets Toronto? According to the organization’s website, Open Streets is Toronto’s largest, free, recreational event. Yonge Street, from Queen Street, all the way north to Bloor Street was closed down to car traffic (2.1 km!) The same thing with Bloor Street from Parliament Street in the east, to Christie Street at the west (4 km!) The streets were closed 9:00 AM until 2:00 PM – that’s a total of 5 hours – for anyone to enjoy 6 kilometres of normally car-packed streets! A paved playground for the entire city to enjoy! Enjoying the music at McGill-Granby Parkette. 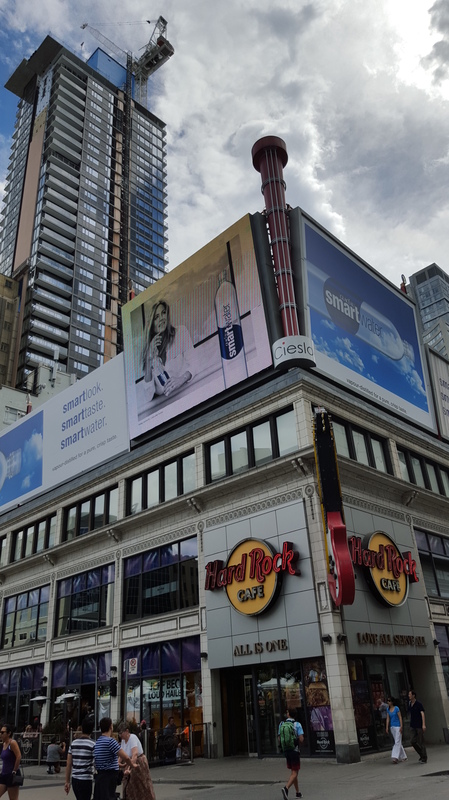 After arriving on bike at Yonge and Bloor at 9:00 AM, I went south with my girlfriend towards Queen to check out what is happening. Several tents were getting set up. My girlfriend checked out a few tents as well. 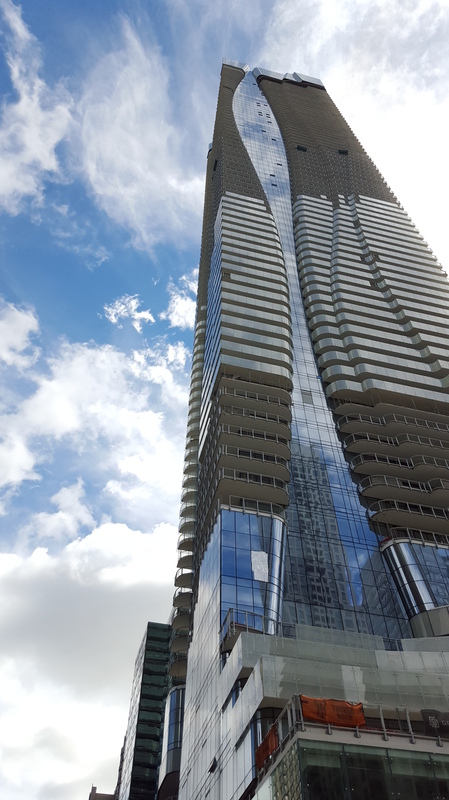 It was pretty windy along Yonge as we arrived at Queen Street – the buildings surrounding the street made for a great wind tunnel. There, I discovered a free bike safety check tent being setup by the Downtown Yonge BIA. The folks there weren’t quite ready to take my bike yet, so I started heading back north to look at what Bloor had to offer. 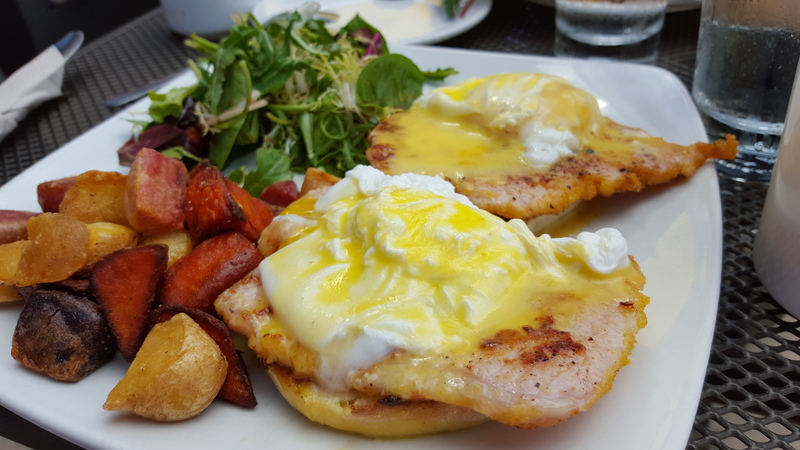 I also started to look for a place to eat. 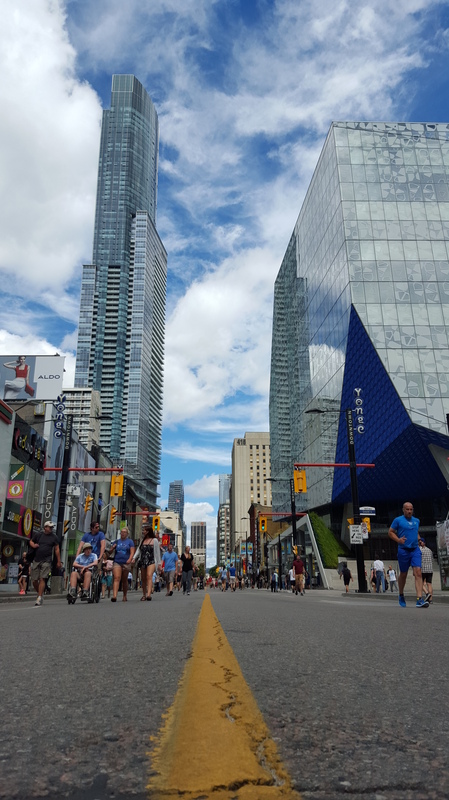 As I biked north, I came to realize how much Yonge Street is transforming. The amount of construction around Yonge street is mind-numbing. Glass and concrete towers are continually being built, making me wonder how the city will look like in the next few years. This also made me want to take more photos to document how the street appears now so that I have something to compare against in the years to come. 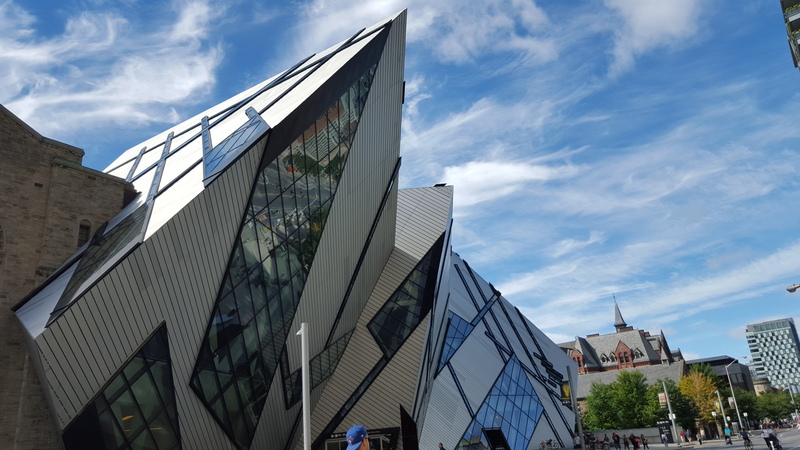 The Michael Lee Chin Crystal – part of the Royal Ontario Museum. 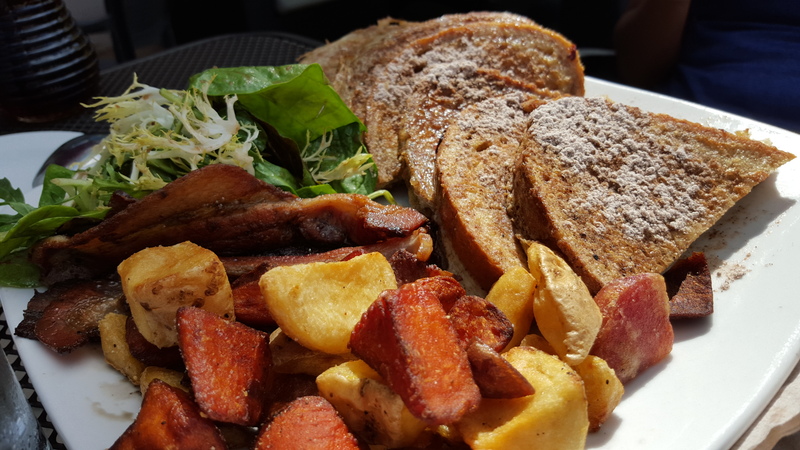 …and as we continued biking west, I got real hungry! I’m very thankful for Hey Lucy at Bloor, east of Bathurst. After locking up the bikes we sat on the restaurant’s patio to enjoy our food and watch people reveling on the car-free street. After the delicious brunch I decided to go back to the tent at Yonge and Queen to have my bike checked out. It was a little past noon and I guess people started to realize what was going on. The streets were getting much busier. Across from Hey Lucy, a bike obstacle course was set up and other events were running as I biked down Bloor. Along Yonge, there were many other tents and events for kids and adults alike. People just walking around and discovering things to do and see. The blue sky and milder weather made for an energetic environment. The Ryerson University Student Centre on the right and the Aura condo tower on the left. Seen in the distance, between the Aura and the brown CIBC tower, is Five Condos. 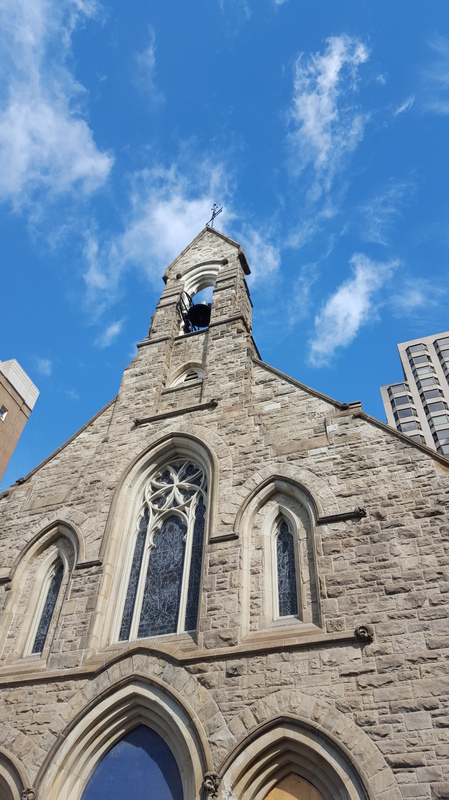 On St. Joseph Street (Just north of Wellesley) it is a more reasonable, 45-storey residential tower which is still under construction . Finally, I arrived at the Downtown Yonge BIA tent. Charlie’s Freewheels, along with the Downtown Yonge BIA ran the bike clinic. While my bike got checked out, I decided to try my hand at JENGA! 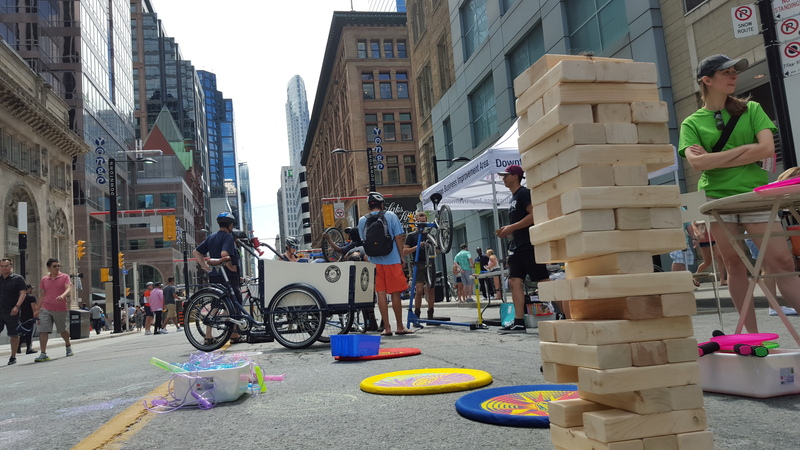 While you have your free bike safety check, you can play with the soft frisbees, draw on the street with chalk or play some JENGA!! Bike check done! It was time to go home. I took a few more photos of the street while heading back. 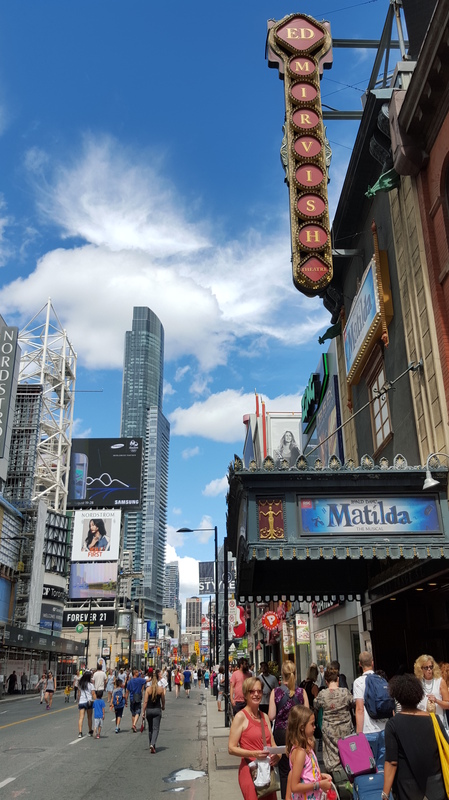 The Ed Mirvish Theatre and the Eaton Centre are among the numerous landmarks flanking Yonge. Yonge Dundas Square had a pretty nice turn out while Open Streets Toronto was running. The Toronto Hard Rock Cafe, found immediately south of the Yonge Dundas Square. It was a great day and a wonderful event! The next Open Streets Toronto date is September 18. 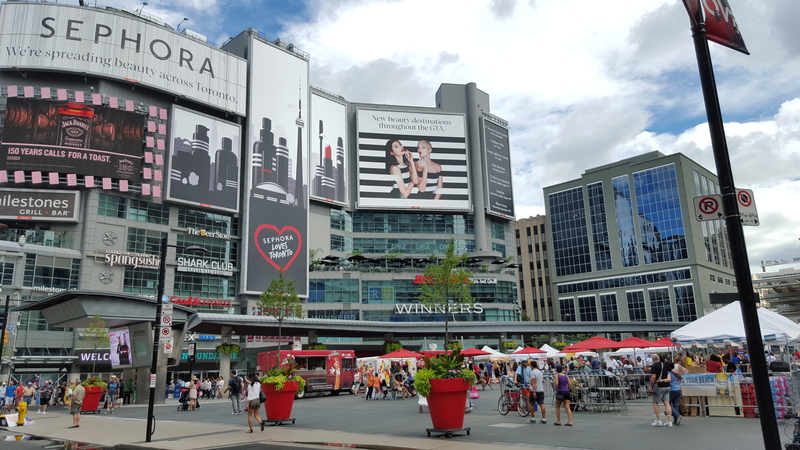 According to the website, the organization is planning to close more of Bloor Street this time, making the Bloor Viaduct part of their urban playground. Make sure to mark the day in your calendar – come out and enjoy! For the Photog reader types: All photos (except the screen capture of the map immediately above) were taken with my Samsung Galaxy S6 (using the Samsung Camera App) no post-processing was done to the resulting images.